We are glad that you're here! We are currently seeking submissions for this site. Please see "How to submit your resources" at the top of this webpage for criteria and instructions. The goal of the CSTAE Digication portfolio is to disseminate lesson plans, unit plans, and syllabi that bring critical, social justice consciousness to a wide spectrum of integrated thought. What does it mean for art education to engage social theory? The CSTAE supports art educators making connections with social theory through critical interdisciplinarity that draws from a wide spectrum of social sciences (usually described as disciplines concerned with society and human behavior). The CSTAE brings critical, social justice consciousness to a broad spectrum of integrated thought, theory, and practice. Interdisciplinary connections may include: anthropology, archaeology, criminology, economics, education, history, linguistics, communication studies, political science, international relations, sociology, human geography, psychoanalysis, and psychology. Other fields, such as law, cultural studies, environmental studies, and social work are also relevant to social theory and art education. For more information on CSTAE, please visit http://www.cstae.org/. 1. Interdisciplinarity - Resources engage interdisciplinary study by making connections to the wide spectrum of social theory. 2. Visual Culture - Resources enhance student understanding of visual culture by expanding perspectives on what counts as art. 3. Research - Resources encourage forms of inquiry through making, studying, investigating and discussing the ways in which art and society shape one another. 4. Relevance - Resources address contemporary student interests. 5. Social Justice - Resources draw attention to, mobilize action towards, or attempt to intervene in systems of inequity or injustice (Dewhurst 2010). 1. We Value Interdisciplinarity: Resources engage students in investigations that draw from multiple disciplines so that the visual features and aesthetic appeal of objects that are studied are valued and explored in a social context. Rather than formally imitating other work, lessons that study artifacts from geographically distant locations and small scale societies include perspectives from critical anthropology that help students consider the role of colonialization, cultural invasion, late capitalism in globalized economics of “fair trade” and the gaze on “the other.” For example, young children creating molas after extensive study of the Kuna community of Panama would research the history of molas prior to colonization, which depicted geometric artwork on the body, and then post-colonization, when European colonizers or tourists sought blouses or wall hangings for purchase that evolved from geometric patterns to representational narrative (animals, botanicals, contemporary symbolism). From this study, students could choose narratives that are current in their lives for depicting artworks, even in a multi-media format, which echoes the traditional Kuna transition from skin to cloth. Students would then be taught about the contemporary practices of appropriation and recycling of imagery. In classroom dialogue about their work, they would be taught to deliberately refrain from referring to “my mola art” or “my Kuna Indian artwork.” Instead they would learn the critical stance of naming their work as inspired by mola-making, while using language that does not colonize the cultural practices of the “other.” The students develop critical consciousness about contemporary practices that interweave current imagery and traditional work. 2. We Value Visual Culture: Resources enhance student understanding of visual culture by expanding perspectives on what counts as art. Resources include references of new media, installation, mobile technologies, human-built environment, community intervention, as well as what has traditionally been considered art media. For example, third grade students may illustrate their original stories with pencil and tempera paint, make digital video animations of those drawings, and discuss the effects of each medium in the understanding of each other’s stories in an expansion of digital literacies and art-making literacies. 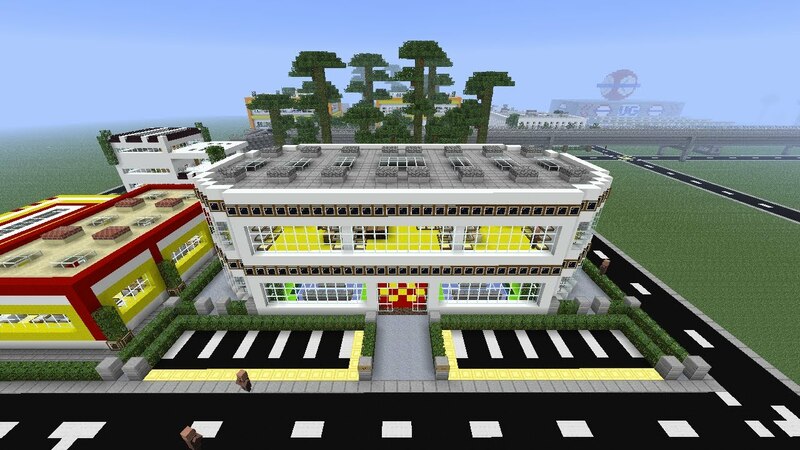 Middle school students engaged in a study of “spaces and places” may play Minecraft and study one another’s virtually built worlds and methods for staving off monsters while considering the role of community collaboration. They then might study and design shopping mall architecture, addressing questions such as: Which spaces facilitate community? What qualities of the architecture and available products contribute to health and economic justice? What actually takes place in malls? Why? 3. We Value Research: Resources encourage forms of inquiry through making, studying, investigating and discussing the ways in which art and society shape one another. For example, fifth graders involved in an investigation of Leutze’s Washington Crossing the Delaware, might discuss of the iconography of the image, which is a fictional portrayal supporting mythological perspectives. Students and teacher might address and discuss the exclusion of artwork by underrepresented communities such as women, people of color, and transgendered people in museums, texts, and PK-12 art curriculum. This act can be transformative, reshaping perspectives. 4. We Value Student Relevance: Resources address student interest. Resources thematically engage students regarding social interest, cognitive levels, and fine/gross motor appropriateness. For example, a K-1 unit on “play” might include a study of games and activities from the very students in the class as well as professional artists' approaches to the theme. Children might invent toys at a building center (rather than mimicking other artists' works). The lesson might also incorporate architectural designs for playground equipment and layout that are inclusive of different physical abilities of people in the community (ramps for wheelchairs, large parts for small fingers, etc.). 5. We Value Social Justice: Resources draw attention to, mobilize action towards, or attempt to intervene in systems of inequity or injustice (Dewhurst 2010). Resources identify and intervene social inequities in society through identification and action. For example, a lesson utilizing recycled objects might contain a component on environmental racism (drawing attention to) and a component addressing and implementing sustainable practice changes in the art room/school/community (intervention). 6th grade student plastic bottle sculpture made of water bottles from the school cafeteria. This project was led by middle school teacher Lena Isenberg, Pheonix, Arizona, 2014. Dewhurst, Marit. (2010). An inevitable question: Exploring the defining features of social justice education. Art Education, 63 (5), 5 - 13.